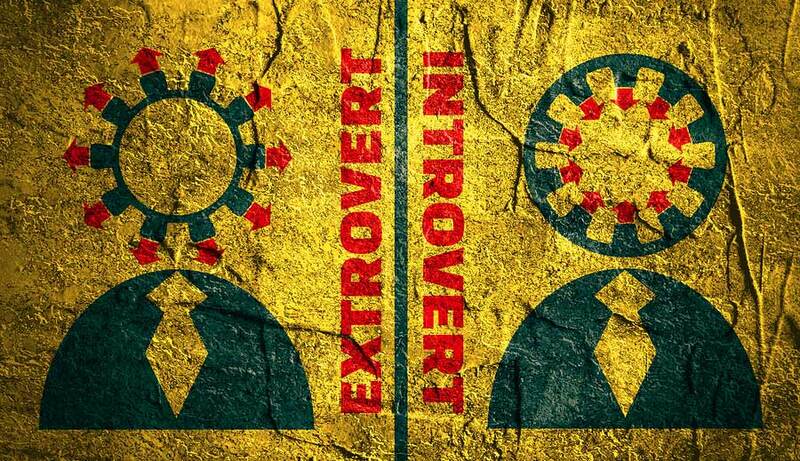 How Introverts or Extroverts Can Impact Your Business. Needing to recharge their batteries by being alone. Needing to recharge their batteries by socializing more. Culturally, there would appear to be a preference for extroversion in the workplace, and this has been the case in North America and in western societies for about a century. This is completely different in Eastern societies where quiet respect is the norm. This presents a major challenge to second generation Asian-American kids who remain influenced by the culture of their parents. In 1913, Dale Carnegie published his first book entitled “Public Speaking and Influencing Men in Business”. Carnegie taught people to become performers and to project themselves and their strong personalities. Self assured confidence became the new business norm. Introverted people tended not to get promoted as often or at all. The culture of personality demands that we show confidence, project ourselves positively, sell ourselves endlessly and hide any anxiety we may be feeling inside. Toastmasters was established in 1924 to allow members to practice public speaking and to perfect the art. It now has 12,500 chapters in 113 countries and continues to thrive today. Surprisingly, even today, you are unlikely to get accepted into a Harvard MBA business course unless you are overtly an extrovert, according to Susan Cain. Grades and social status are predicated on extroversion in Harvard. The top business leaders in many industries in the United States have passed through Harvard Business School. They are perceived as confident, bright, quick thinking, and rapid at making decisions. They are extroverts who enjoy being to the front and center. There is no room for introverts who are perceived as thinkers and procrastinators – they simply take too long to make decisions, even if the decisions they take are often found to be superior to those taken by the quick-thinking extroverts. Harvard promotes a leadership style that values quick and assertive answers over quiet, slow decision-making. Cain reports that several intricate studies indicate that 40 to 50% of introversion/ extroversion is inherited from our parental genes. This means that we have a predisposition to be either an introvert or extrovert before social and other conditioning kicks in. In fact, between one third and one half of all people in western cultures are introverted and prefer cerebral stimulation to social stimulation. Being quiet and reflective is perfectly normal for a large part of society. In any event, few of us tend to be on the extremes of either temperament. Introverts can also enjoy social interactions and extroverts can enjoy some quiet time to relax and reflect. So why do some of us grow up feeling inadequate or shy because of our tendency to be introverted? Often it can be the demands of our teachers and workplaces, which places the burden on us to be more like the extroverts that surround us. It is perfectly okay to prefer to meet small groups of friends and to have deep discussions on issues that are of interest to you as opposed to trying to outshout your extroverted peers in a noisy environment where perhaps trivia reigns supreme.